Easton Hospital has offered a high-quality Medical Residency Program since the late 1930’s with a strong emphasis on medical education for residents, medical students, and attending teaching staff. We are fully accredited by the ACGME with a 10 year accreditation cycle. 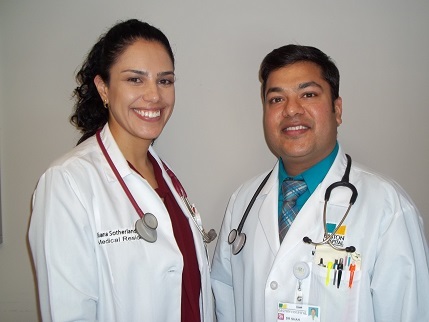 Easton Hospital maintains an affiliation with Drexel University School of Medicine whereby both Medical Students rotate to Easton and Medical Residents have the opportunity to rotate to Hahnemann University Hospital in Philadelphia for elective rotations. 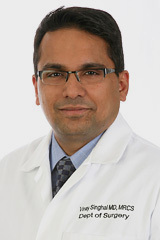 The Easton Hospital Internal Medicine Residency provides a structured program that includes an educational environment, teaching faculty and clinical facilities to enable physicians to develop the knowledge, skills and attitudes necessary to begin their careers as practicing general internists or to progress to fellowship training in a subspecialty of Internal Medicine. The primary goal of the Easton Hospital Internal Medicine Residency Program is to train fully competent, broadly skilled general internists. Our curriculum provides each resident with a learning environment. Our workday is structured to balance patient care responsibilities with adequate time for study and a healthy lifestyle. We seek to educate in the model of lifelong learning, recognizing that ever-expanding knowledge and ever-growing scope of diagnostics and therapeutics requires individual self-renewal. Submit an application through the Electronic Residency Application Service (ERAS). Score a minimum of 220 or above with a first time pass on each test of the USMLE. Medical School graduation within 10 years. All foreign medical graduate applicants must be ECFMG certified prior to our application deadline. USMLE Steps 1, 2 and CS must be taken and submitted with the application. USMLE Step 3 completion is also valuable. Our program will not be sponsoring any visa ‘s for the 2018 Academic year. All applications will be evaluated through a formal review process approved by our Graduate Medical Education Committee. Approximately 60-80 candidates will be invited for interviews between October 1 and December 31st. Please contact our office by phone to report a change in e-mail address or phone number only.